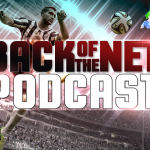 Welcome to Episode 94 of the Back of the Net: FIFA Podcast in partnership with Sweetpatch TV. This is your weekly FIFA, Sports and Banter Podcast. This week we welcome back Adam and we have a special guest in Pro FIFA player michs09 (Dirty Mike). We talk about the PS4 announcement, #wishfifawouldbe is back, Players of the week, real life football and lots of other stuff. We hope you listen and enjoy.